Last night was my final midweek training run in California before the marathon. It was a fantastic run that should have netted a faster time. However, the red traffic lights were out in full force to keep my time slow. Oh well, I felt fantastic and it was one of my best feeling mid-week runs in a while! By the time I got off of work, there was nothing that was going to stop me from hitting all 6 miles. The first run interval felt so amazing that I knew I was going to have a good run. During the run, I did have that feeling of “this is it!” The last time I climbed that fun hill in the second mile of my loop was a little emotional. I knew that the last mile would be much easier and I enjoyed every minute of it! I’ve only got a 7 mile (or maybe more) run left tomorrow in California. Then it’s off to Orlando. 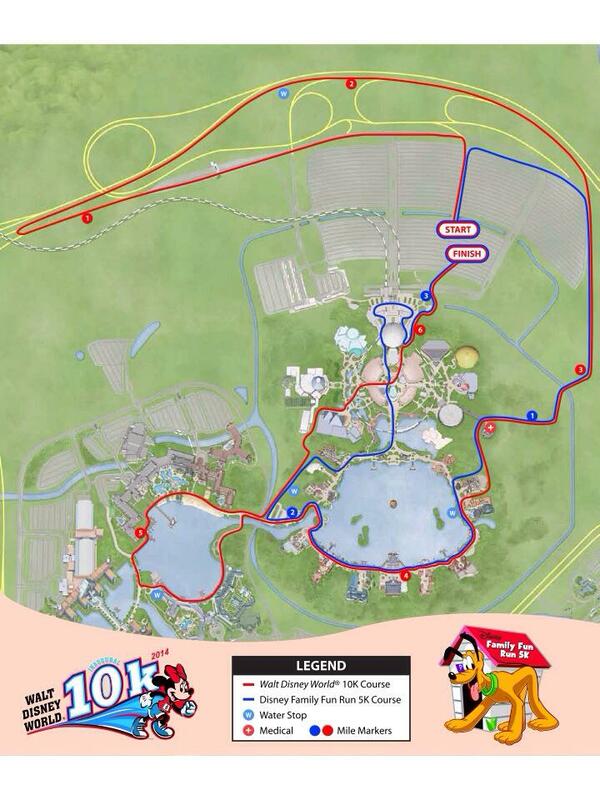 I’m really hoping and planning on a run around the All Star Resort either Tuesday or Wednesday evening of next week. 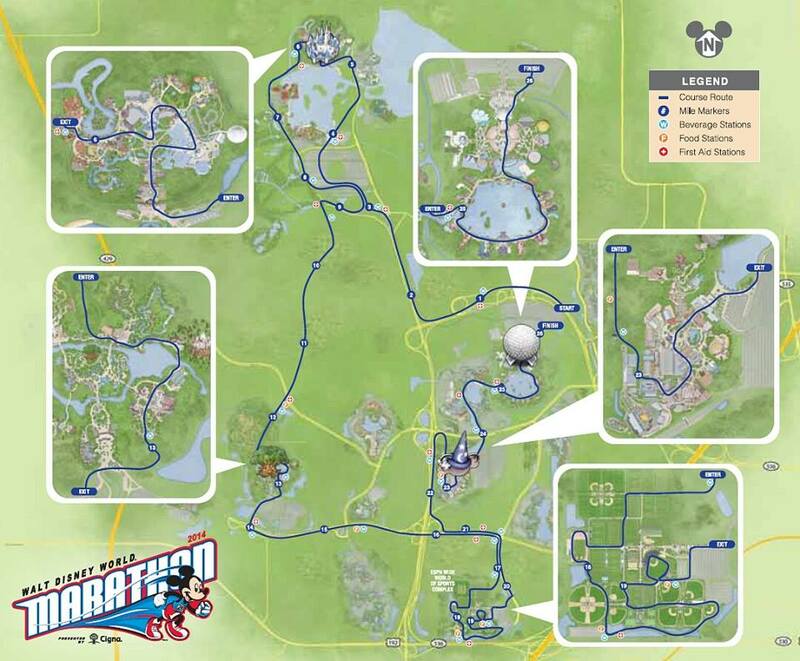 Here’s a map I found from the Running At Disney blog of where I’m planning on running. Tuesday we fly on Virgin America Airlines to from LAX to Orlando. I’ve never flown with Virgin America before. However, everyone I’ve told that I’m flying with them has raved about them. Also, those that have chosen to comment on Yelp have lauded the praises of this airline. So, I can’t wait! We will arrive in Orlando around 4:30pm local time (meaning no lunch for us). 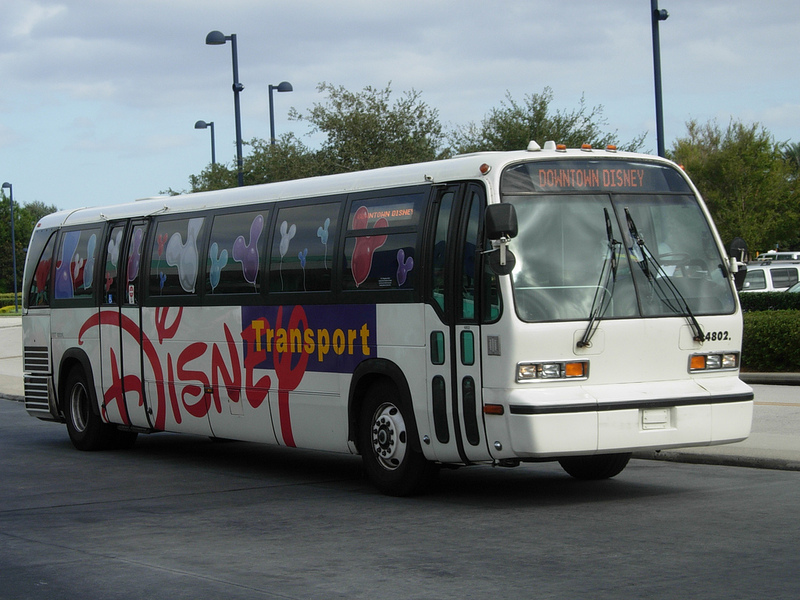 We’ve got our reservations set up on the Magic Express from Orlando’s airport to our home away from home….. Yes, we’re staying at the All Star Sports Resort. The journey to arrive at this as our resort took many different turns along the way. My wife really wanted to stay at the Art of Animation Resort and in the Little Mermaid wing specifically. When I called to make the reservation, I was told that they didn’t have a Cast Member rate for that wing. So, we put a deposit down to be at the All Star Movie Resort (our second choice) instead. I was then told to call back in summer to find the Cast Member rates. When I did, I was told that we couldn’t stay at the All Star Movies, but they could move us to the All Star Sports. So, this is where we will be for our week in Orlando. if I remember correctly, it will probably take an hour to an hour and a half to arrive there. So, we’ll check in and eat dinner at our resort. The 5 hour flight will probably take a lot out of us. So, we’ll just hang out around our resort. I’m secretly hoping to be able to get in that run I mentioned above on Tuesday night. 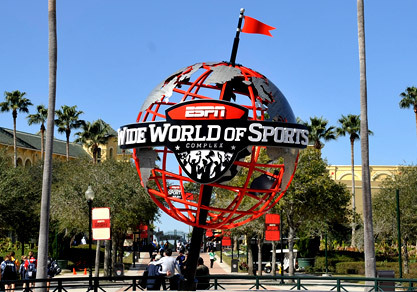 Wednesday morning, after breakfast at our resort, we’ll head out to the ESPN Wide World of Sports Complex for the Walt Disney World Marathon Expo. My wife and I have a divide and conquer strategy to the expo. She’ll head off to the official runDisney merch area to grab me one of the “I Did It” Marathon shirts and I’ll head over to Champion Stadium to get our “fastpass” for the runDisney New Balance Shoes. 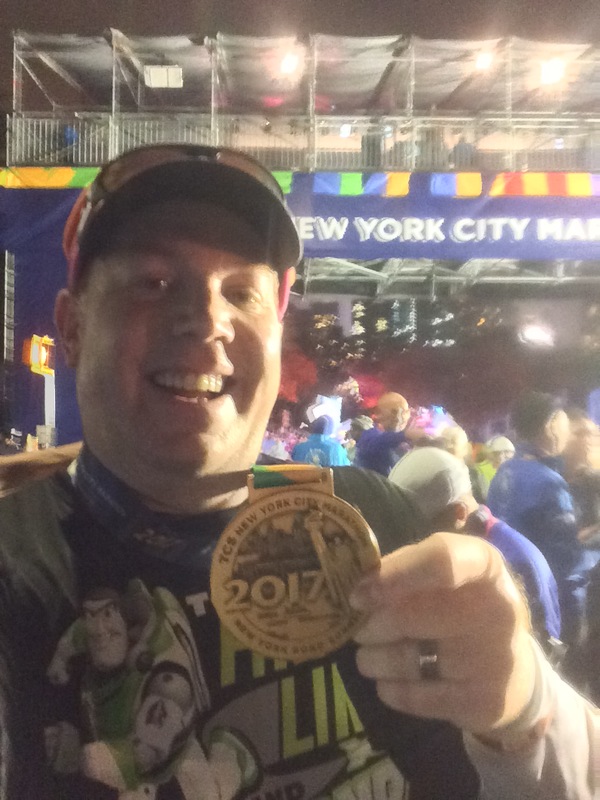 Hopefully, we’ll be able to get both the shoes and the shirts (and any other runDisney merch we may want). After securing our purchases, we’ll head over to get our race bibs and race shirts. Lunch is planned for the ESPN Wide World of Sports Complex. We are also planning on making our way to the Art of Animation Resort to check that out. Depending on how things work out we will either eat at that resort or make our way to the Boardwalk area for a meal. Thursday will begin at Disney’s Hollywood Studios. 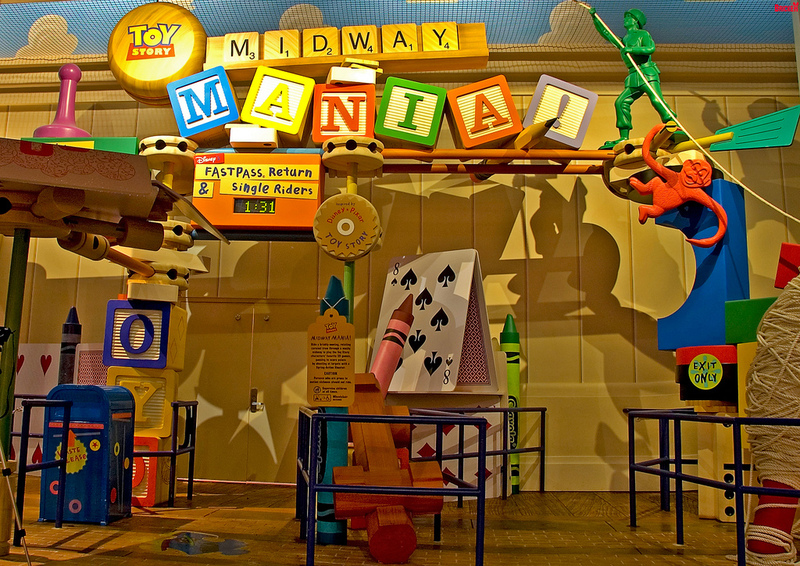 We have fastpasses set up for Toy Story Midway Mania and I can’t wait to ride this ride at DHS! We’ve got lunch planned at the 50’s Prime TIme Cafe. One of the bloggers I follow is hosting a tweet up at Downtown Disney at 1pm. So, I will see if I can make it to the tweet up. There is a good chance that I won’t be able to make it. However, if I can I will be there. Here is the info in case any of you want to go. 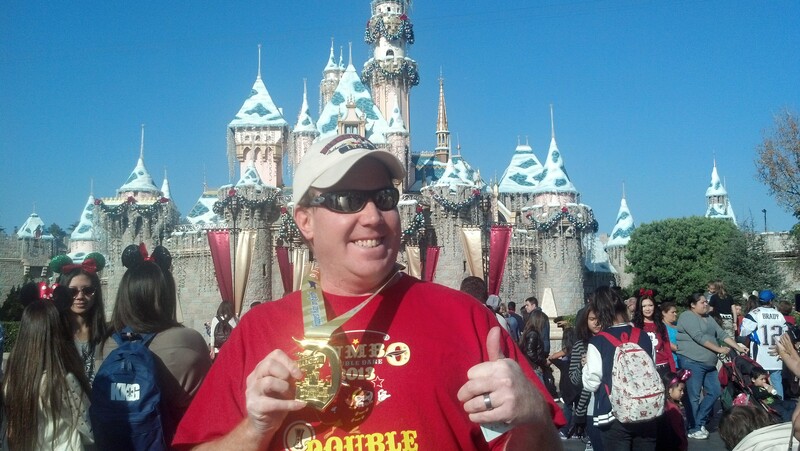 Linzie of See Sharp Run is a great guy and I was a little sad that I didn’t make his tweet up at the Disneyland Half Marathon weekend. If you want to meet some really cool runners, you should go. We’ll spend our afternoon/evening at EPCOT. I know that EPCOT is a theme park you really need to spend two full days at in order to get everything the park has to offer. However, time is a little limited on this trip and the priority for the trip is the marathon and 10K races. So, we’ll take what we can. On my honeymoon, my wife and I did spend quite a bit of time at EPCOT. So, we do know what we’re missing out on. We do have dinner plans at Biergaren and hope that will be an okay place for dinner the night before the 10K. The tough decision of that night will be whether we stay for Illuminations or choose an early night. After all, we’ll be up around 3am for the 10K on Friday morning. So, Friday is a super early start to our day. Brooke and I will be running in the 10K together. (Check back with this blog on Monday, January 6th for our costume reveal). After the 10K race, we have a character breakfast set up at Cape May Cafe. After breakfast, it will be back to our resort for a nap. Then, we hope to make our way to Universal Studios Orlando by lunch. 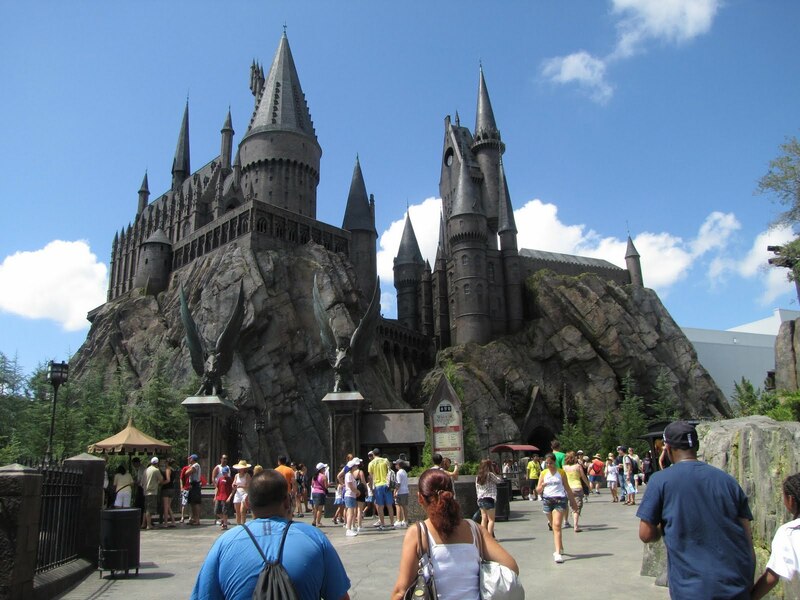 Brooke and I will spend the afternoon and evening at Universal Studios Orlando and Universal’s Islands of Adventure. Wizarding World of Harry Potter, here we come! Saturday morning, we have reservations at Senses Spa at the Grand Floridian Resort. Yes, time to relax after several fun-filled days! The theme for Saturday will be keep things calm and stay off my feet as much as I can. Other than the time at the Senses Spa, the only thing we have on the agenda is dinner at Splitsville in Downtown Disney. Sunday morning, I will be up before the sun again. This is the BIG day. 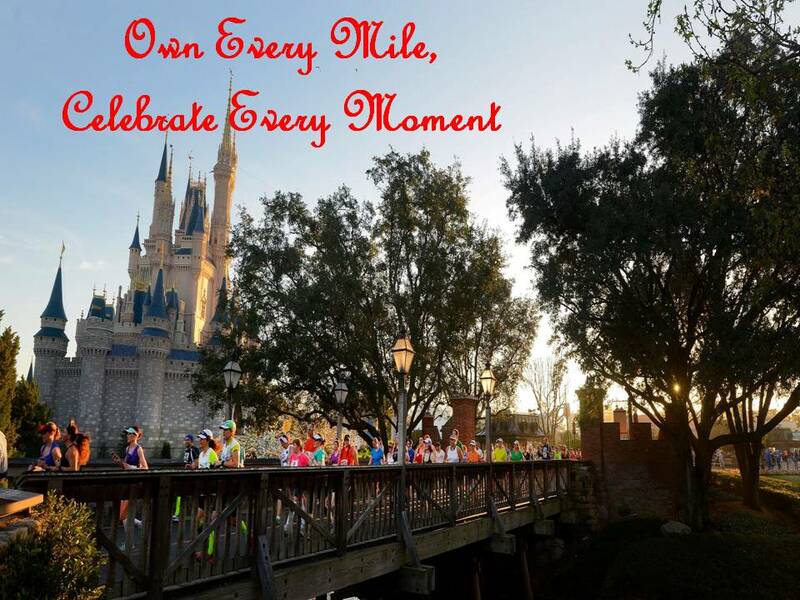 The day of the Walt Disney World Marathon! 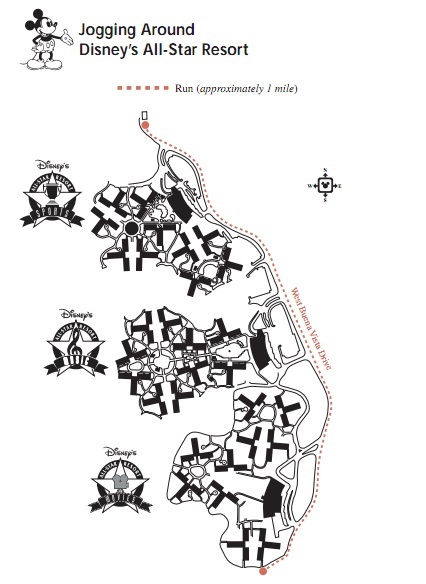 I will get to spend the entire morning running through The Magic Kingdom, Disney’s Animal Kingdom, The ESPN Wide World of Sports Complex, Disney’s Hollywood Studios, AND EPCOT. Yes, this should be an epic day. If you aren’t following me on Twitter yet, please do. I will be live tweeting the marathon. In January 2014, this one will be mine! To get this beautiful medal. 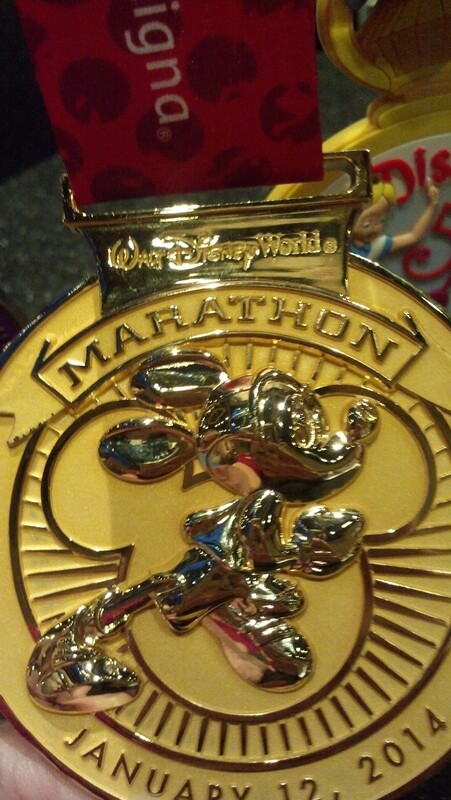 It’s not about the medal itself, but what the medal represents…MARATHON FINISHER! In a little over a week, I want to be counted among the ranks of the few that can call themselves marathon finishers. 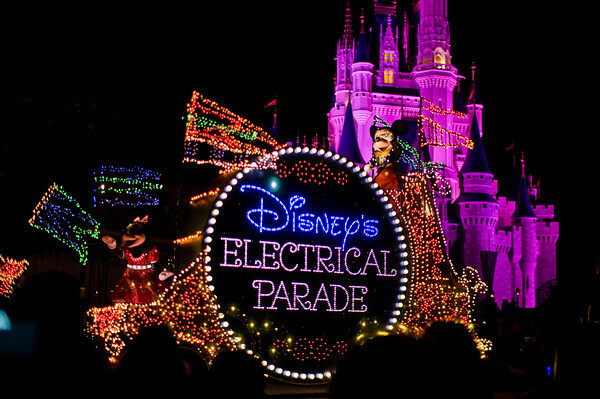 the Main Street Electrical Parade. I haven’t seen this parade since it last came down Main Street U.S.A. at Disneyland back in the 1990’s. My last summer working as a Cast Member at Disneyland was the last year of the Main Street Electrical Parade at Disneyland. I know they brought it back to Disney California Adventure. However, I never got to see it there. So, seeing this parade will be a trip down memory lane. My parents even have the VHS tape of the parade from the last year it was at Disneyland. The CD I have of Fantasmic includes the music for the Main Street Electrical Parade. I can’t wait! Then, we will conclude our time at Disney World with watching Wishes. When we were on our honeymoon, we only saw Wishes from the beach at the Polynesian Resort. So, it will be cool to finally see it at the Magic Kingdom itself. On the honeymoon, we ended out stay with a viewing of Illuminations. This time, we’ll end it with Wishes. I know that we’re not going to be in the theme parks every day. However, for us Southern Californians who don’t go to Walt Disney World every year, it’s hard to take in theme parks on so many days back to back. I honestly don’t know how people do it. If Brooke and I go to a theme park, it’s usually a one day adventure and who knows when we’ll be back. That’s what we’re used to. 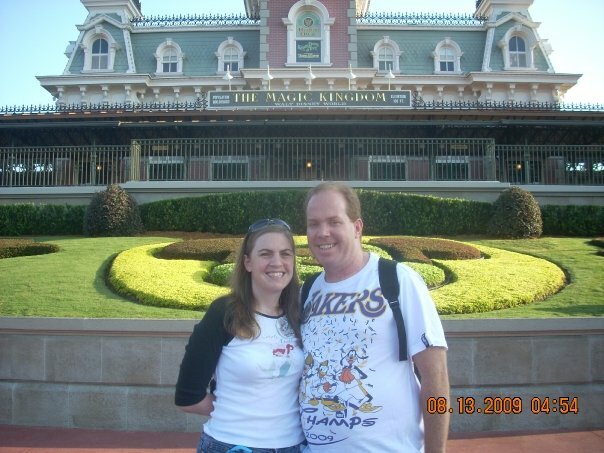 On the honeymoon, we learned that the idea of going to theme parks every day is easier for us than actually doing them. So, we’ve got 2 days of Disney theme parks for this trip and 1 day of Universal theme parks. There will also be 2 days where we race. I have agonized over the planning of this trip. It’s been hard because I’ve never planned a race-cation before. Hopefully, I haven’t planned too much or too little. No matter what, I know it will be fun AND exhausting at the same time. For those of you who are running in any of the races…are you excited yet? What is the part of your trip you are looking forward to the most? By the way, if any of you see me around Walt Disney World next week, please come up and say hello. It would be awesome to meet any of you. 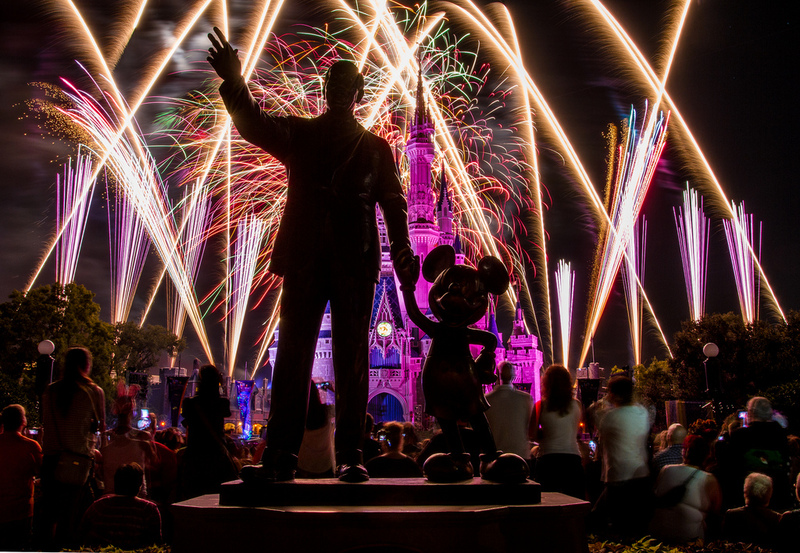 Have a Magical Weekend! Congrats on your final training run! I live in Pasadena as well and it makes me so happy to be able to train and have it not be freezing cold! 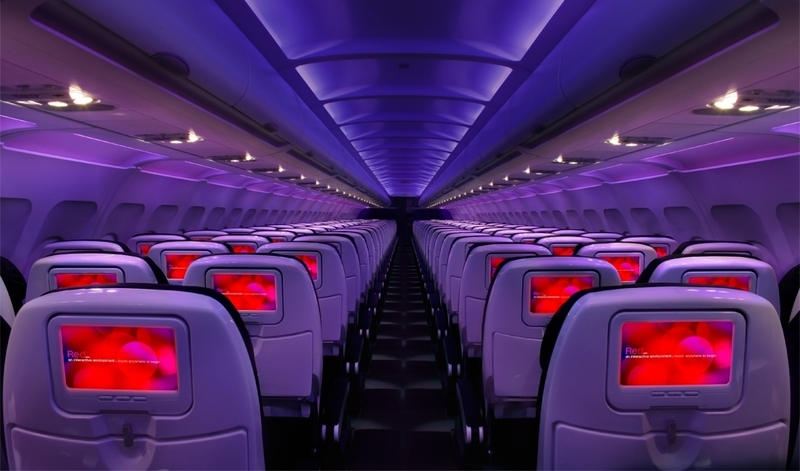 virgin america is great! one tip i have is to check what is on tv before you get on the plane (im assuming your flight leaves LAX around 9 or 10 so you will need to look up what is on cable about 3 hours before). I always forget it’s an NYC/East Coast feed and never know what is on to watch haha and there isn’t a tv guide type channel so it’s a lot of flipping around. have the best time in WDW! i was just there 2 weeks ago and am heading back for Princess. I am about to head out on my 20 mile training run for the LA marathon! eek! I checked out your blog and I think I ran by you on one of my trainig runs this past summer. You commented on the runDisney shirt I was wearing. Of couse, I could be wrong. Anyways, thanks for the tip about checking the TV listings. I will do that! I hope your 20 mile training run went well. Good luck in your training for the LA Marathon. Have fun with the Princess Half in February.